Selling gold for cash isn’t such a bad idea whenever you’re in need of some money. Whatever situation you’re in, whether your bills need paying, you want extra cash, or you simply can’t wait till payday, cashing gold could be one of the best and fastest solutions to your problem. The gold industry is currently growing in millions of dollars in the US alone—after all, gold has risen to over $1, 600 per ounce, and it doesn’t look like it’s going to be slowing down its rampage any time soon. You don’t need hundreds and thousands of dollars to get started in the gold industry—in fact, you can kick-start your gold empire for under a hundred bucks. The cash you’ve got in your wallet or in your bank account could allow you to completely transform your financial situation, especially if you’re in dire need of cash. You won’t have to wait for months and years to make a profit; you can earn cash instantly in just a week or two. You can legally obtain huge amounts of gold at a very cheap price and sell it to make a great profit, if you buy and sell scrap gold. Over the past few years, the price of scrap gold has risen considerably in the world market, which makes it a very good business venture for people who are interested in handling precious metals. 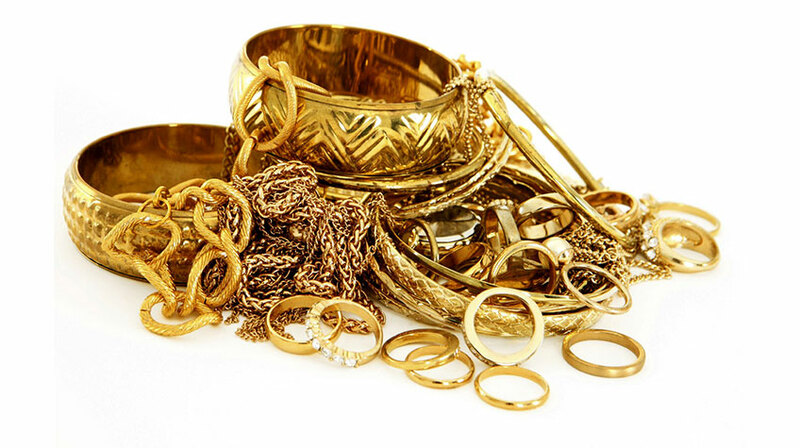 You can find scrap gold in almost every household nowadays—whether it’s an old brooch, a bracelet, or even just a small ring. It’s amazing to see what you can find if you go through old jewelry boxes, thrift shops, and even junk shops. You can buy these little treasures at cheap prices, gather them all up, and sell them at an expensive price. You can either sell it on eBay or sell it to your local shop that buys and sells scrap gold. It’s always better to contact your local shop, so you can avoid all the fuss that comes with selling your scrap gold online. Scrap gold definitely is something that’s worth investing on at the moment, especially because its payoff is huge. Just be careful about finding fake gold when you’re out hunting for scrap hold. Always make sure to double check if it’s the real thing by taking a magnet out and seeing if the metal reacts. Remember—brass doesn’t react to magnet, but gold does. Also, remember to feel the weight of the piece you’re interested in. Real gold is a lot heavier than brass, and even gold plated metals. The higher the karat is, the heavier it gets; so make sure to have something to compare your chosen piece with. Lastly, have a known jeweler assess your finds to determine whether the item is real or not. It doesn’t hurt to ask a professional for advice, especially when you’re doubtful about your purchase. When all this is done, you’re now free to go forth and resell your scraps—who knows, you might make a living out of it. "I usually don't write reviews but felt compelled to after my experience at this business. I had a variety of jewelry that I received over many years that I never wore anymore so decided to sell it. This was the third place I went to because it's pretty far from me but WOW was it worth it. Not only were the two gentleman so down to earth and friendly but you could tell they had extreme knowledge in their field. They really explained everything to me and made me feel comfortable with my decision and the value of my items. It was well worth the drive!! Would honestly highly recommended this place to anyone!!!" For more reviews about Kings Ransom Click Here. © King's Ransom Gold and Silver · All rights reserved.